Who knew New Mexican wines could be so delicious? I’ve tasted quite a few so far, and it hasn’t been a case of unearthing a few gems in a sea of mediocrity. The vast majority of the wines I’ve sampled have been well-crafted and delicious enough for me to want a second glass. In fact, the only true disappointment of the trip has been a mouth-puckeringly tart Chardonnay/Sauvignon Blanc blend from France’s Loire Valley! What a contrast to the Chardonnay pictured above, produced by Ponderosa Valley Vineyards. 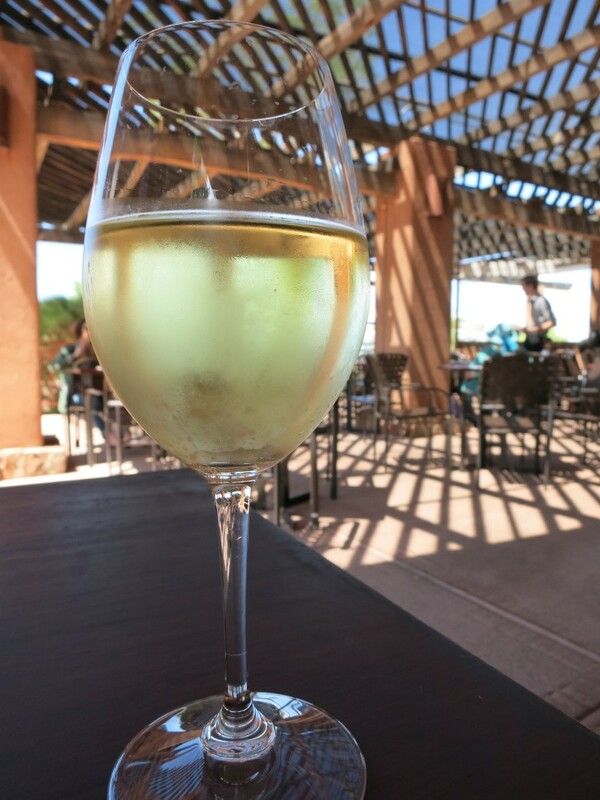 I drank this delightful wine over a relaxing al fresco lunch at the surprisingly pleasant Museum Café, set between Santa Fe’s Museum of International Folk Art and the Museum of Indian Arts and Culture. The Ponderosa Chardonnay had a lovely green-gold color and a fresh, limey aroma. It started sweet, with a note of honeysuckle, but the wine was admirably balanced with gingery spice and bright acids. Paired with some duck flautas, the spiciness of the wine really jumped out. This Chardonnay retails for about $17.50, according to the Ponderosa website, which seems like quite a fine deal to me. If I see a bottle in a store, you can be sure I’ll be snapping it right up.